Andy's Electronics Projects: FaMI VRC6 Support! Channel remapping - MIDI channels can now be reassigned on the fly with a controller in P1. They can even overlap! 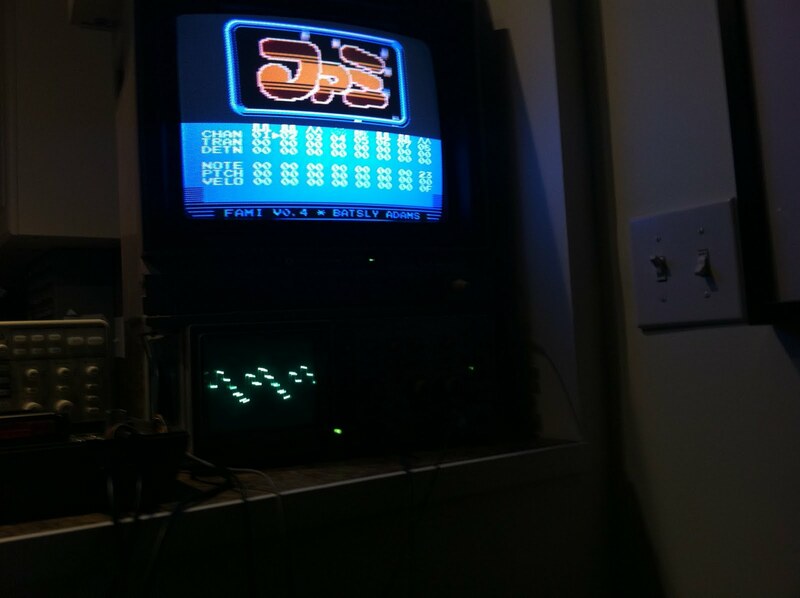 So you can assign a single MIDI channel to multiple channels on the NES and they will play simultaneously. A detune / transpose option was added so you can create multi-channel leads if you are using this as a live instrument. Sent out a couple of demo boards - a few bugfixes later and things are stable! It's pretty much interface / sound preference coding from here on out!